3 day weekend! Whoo-hoo! I'm excited! Tomorrow will be chore day, Sunday will be spent with my mother, and Monday will be my own personal holiday. My mother and I are going to go stroll through the garden aisles and pick out gifts for each other since it is both Mother's Day and my birthday. Then on Monday I will plant whatever I got. That's the plan anyway. Every day when I get home from work, the dogs and I wander around the backyard admiring the flowers and dreaming of what to do next to spruce up the yard. Well, that's what I do anyway. 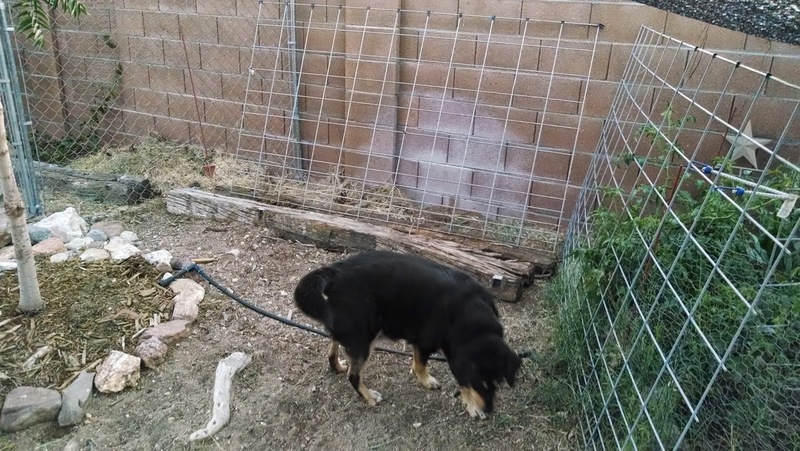 The dogs are usually peeing on things and harassing lizards. 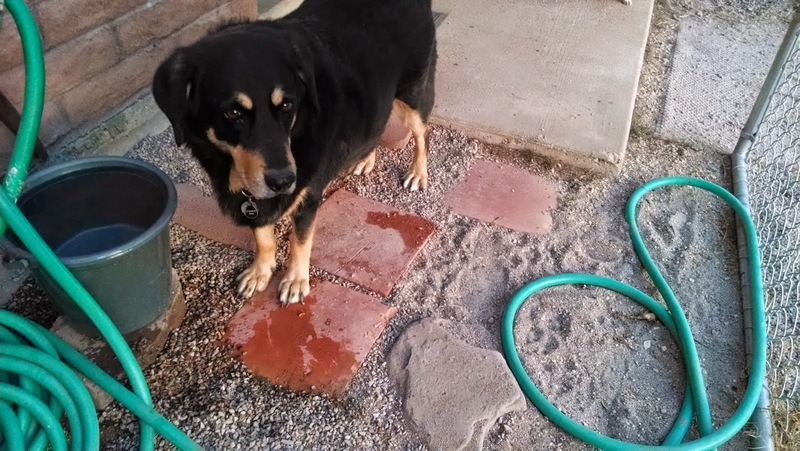 I've been observing my newly imported gravel and I am leaning towards buying more concrete pavers because walking on gravel is unstable, noisy and the dogs track it on to the porch. It is still good for certain areas but I would like to have a larger paved area. 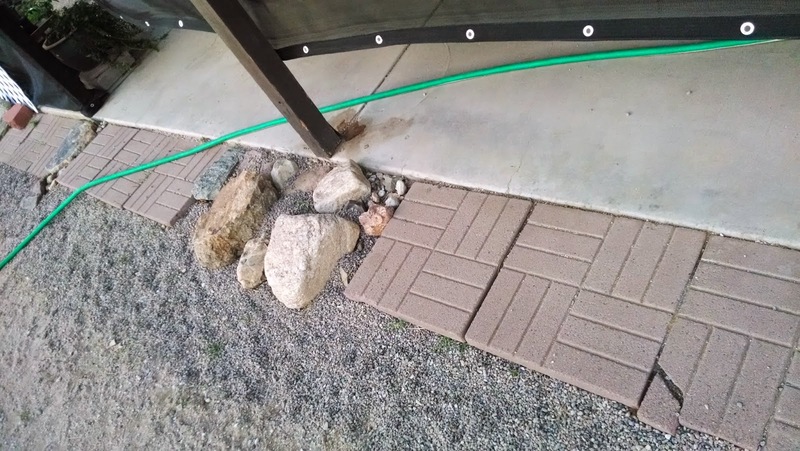 I noticed that there are many kinds of pavers already in my yard. So, here's the tour of my yard. Here are some tiles which do not make good stepping stones but it was better than stepping on dirt. And there is one amorphous grey stepping stone. Behind the shed are a dozen or so pavers keeping the weeds down, I guess. 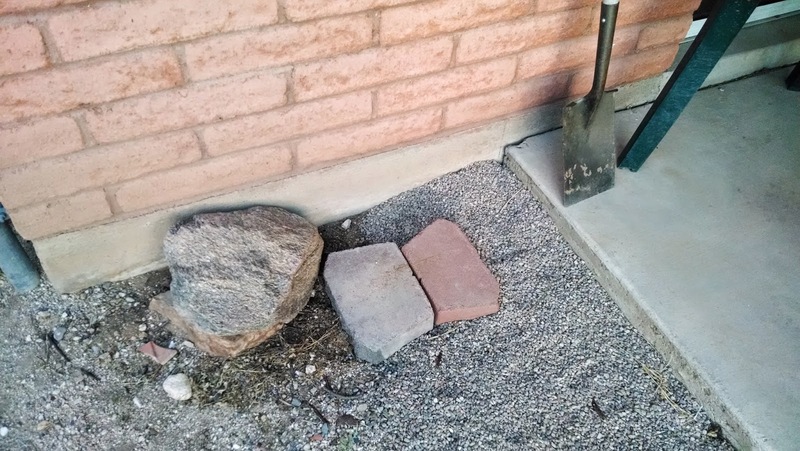 This might be a better area for gravel and then I can move the pavers to a more useful place. 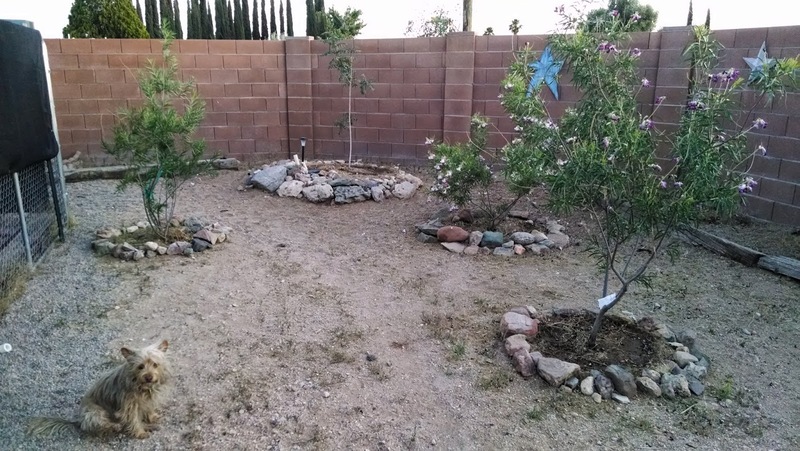 Here is a corner of the yard without pavers but plenty of rocks and some old railroad ties. 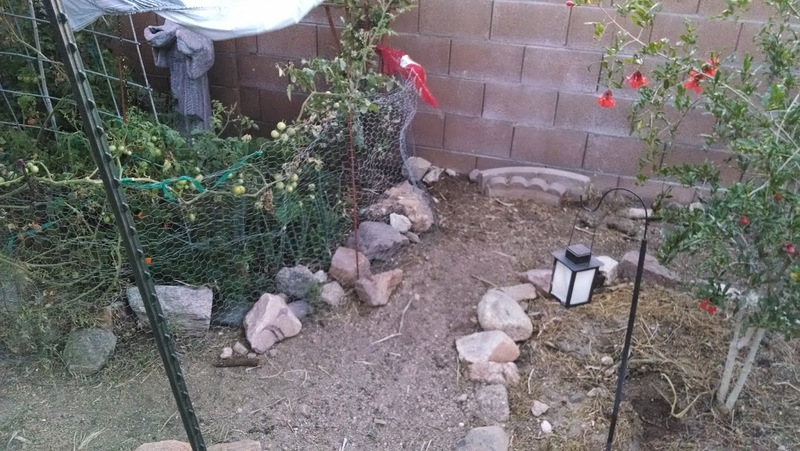 I want to expand the garden along the fence if I can keep it shaded. 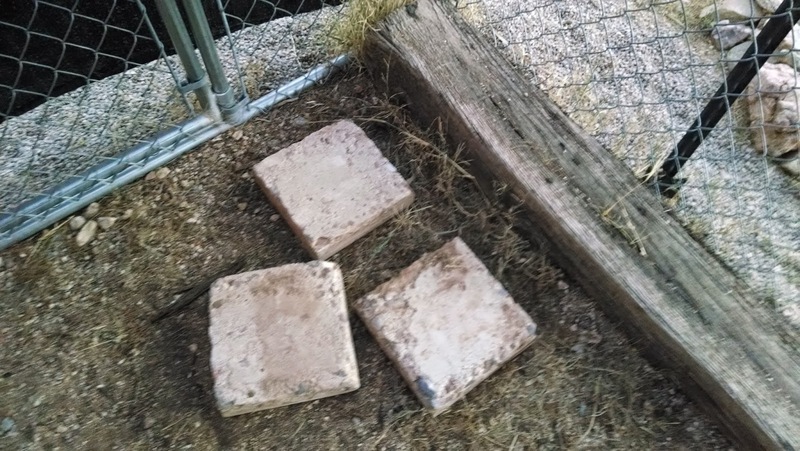 I found these 3 concrete squares scattered around the side yard. They started my scavenger hunt for useful materials. I'm sure I can find a use for them. I am trying out a paver as a stepping stone in this gate area which is a low part of the yard and floods when it rains. I think I would have to add more and make a wide path in order to fix the problem. 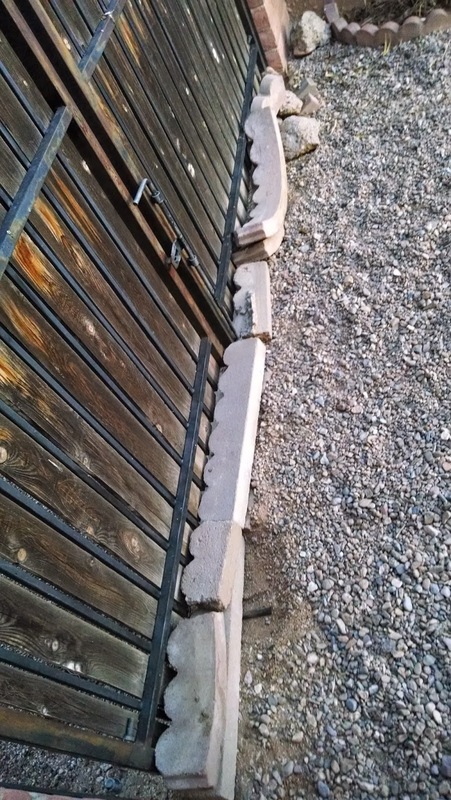 Over by the RV gate, there are some scalloped edging pieces, straight and curved. They are blocking the exit for any dog who is thinking about digging under. I could replace these with rocks if I thought of a use for them. More scalloped flat pieces that the previous residents used as pavers in front of the shed. I have 5 of these wall blocks as well as numerous large rocks. What shall we call these? 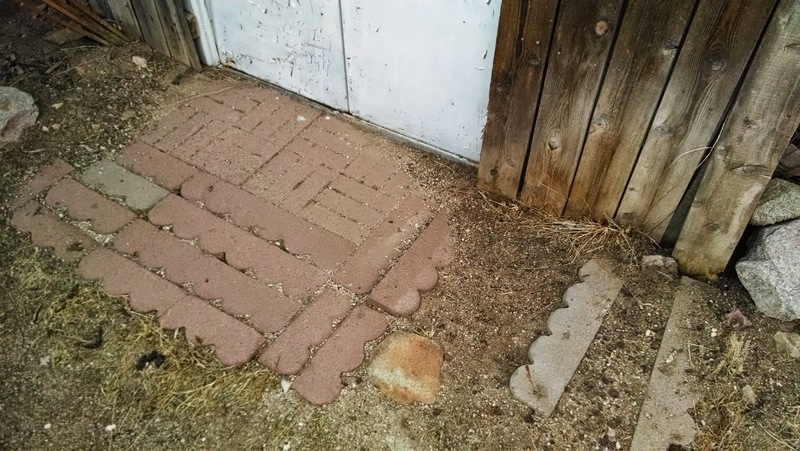 Basketweave pavers? They are along the edge of the patio. I'm not sure how I feel about them. More scalloped pieces and a whole lot of rocks. In the side yard, I think I found where the scalloped pieces are multiplying. 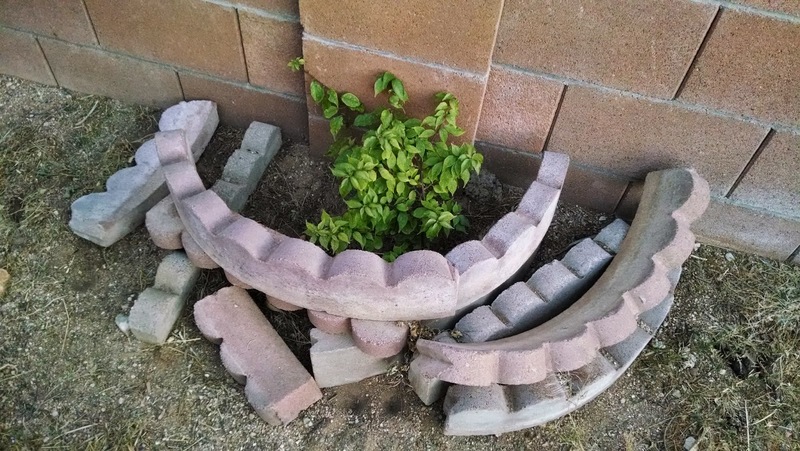 Maybe I can use them as edging around a raised garden bed. 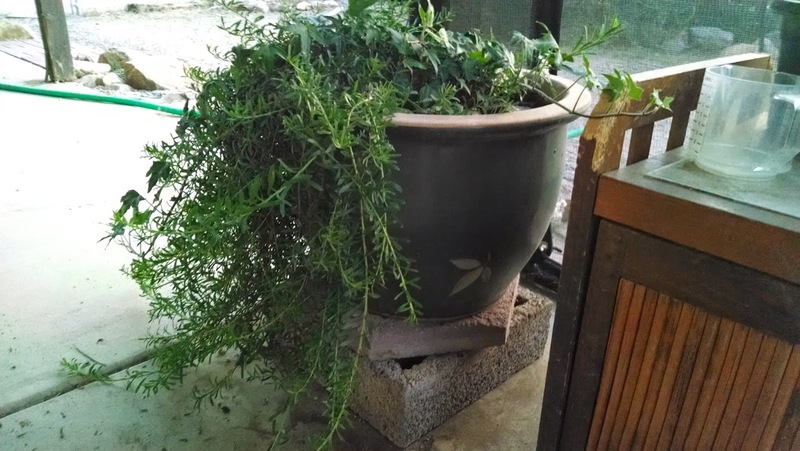 I've been wanting to get this pot off the ground because the plant is getting stepped on. 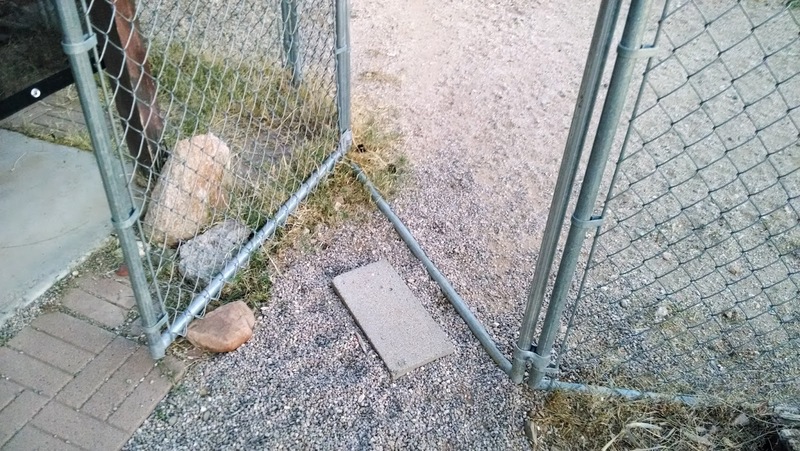 I found a block and a stepping stone to go underneath. It could probably go a little higher. 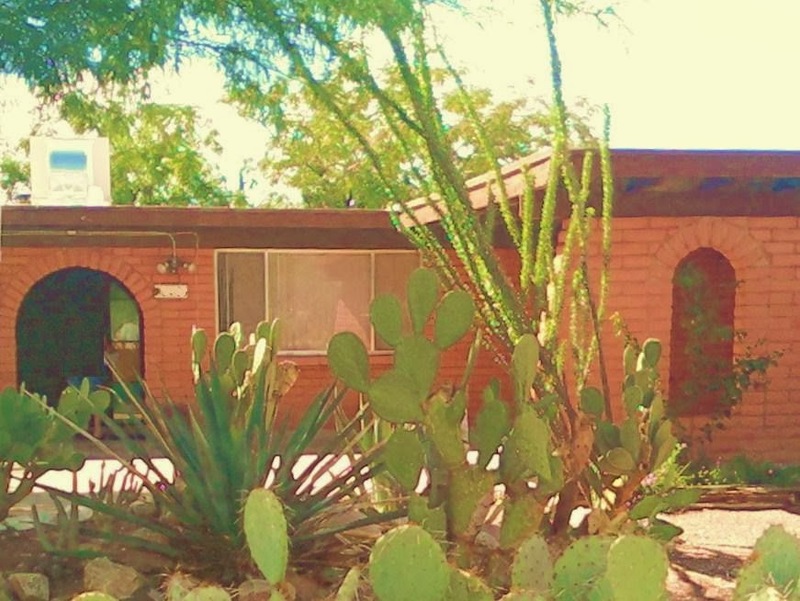 And lastly, a wide shot of the dogs' side of the yard. Plenty of rocks and railroad ties. Now I have some materials to work with so I can try out different configurations before I spend more money. The trees are doing great and I love how much they grow every year. One day this yard will be shady again, right about the time I sell the house and move! 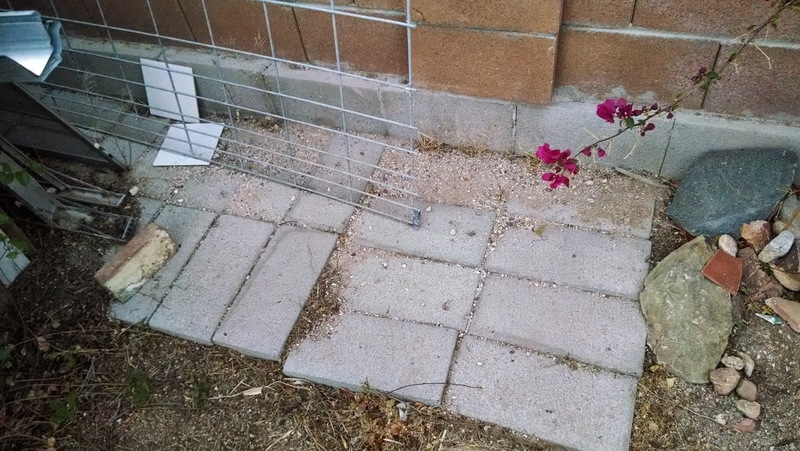 Ha ha, I require the dogs to pull weeds and pick up after themselves daily. If only they had an artistic eye, I would let them landscape the yard themselves.